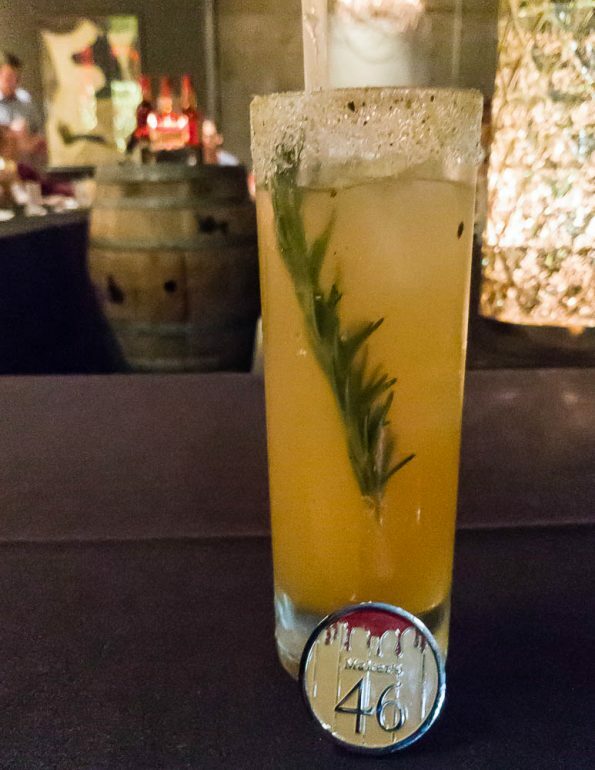 Last month we attended the Maker’s Mark Whisky Dinner at Blue Hound Kitchen. Now it is no secret that we love all types of whisk(e)y. For the Maker’s Mark Whisky Dinner, we were treated to delicious cocktails created by Jesse Price paired with amazing food by Blue Hound Kitchen’s Executive Chef Sean Currid. Bourbon Bomber (Maker’s Mark bourbon, lemon juice, winter spiced honey, house made apple cider, lemon zest, rosemary sprig)- This cocktail was everything you’d expect from a winter cocktail. All of the spices in the honey paired really well with the bourbon along with the house made apple cider. Which we might add, was out of this world. 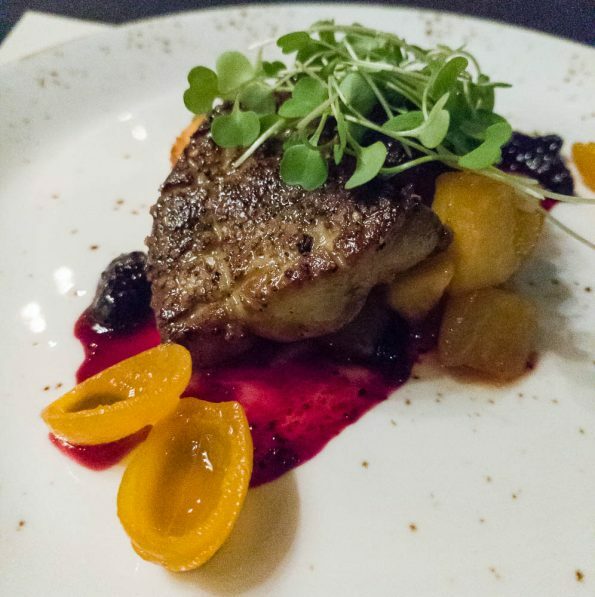 Foie Gras (brioche, bourbon glazed apples, kumquat + huckleberry cracked pepper gastrique)- As with our love of bourbon, our love for foie gras is definitely no secret. The richness of the foie gras with the tartness of the kumquats and huckleberry gastrique were a perfect and delightful combination. Don “Jon” Draper (Maker’s 46 bourbon, brown sugar syrup, Jamaican bitters, orange zest, coffee-infused ice cubes, smoked glass)- This cocktail was probably our favorite of the evening. Reminiscent of The Lawless (one of BHK’s best cocktails), what really set this cocktail apart was the coffee-infused ice cubes. As they melted, the cocktail developed a new flavor rather than tasting watered down. 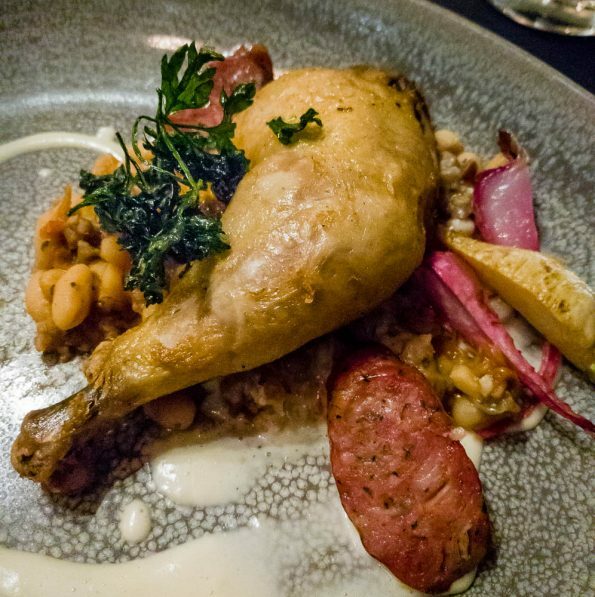 Crispy Chicken (white bean ragu, chicos, andouille + root vegetables)- Who doesn’t love crispy chicken? It is one of the best foods on the planet! That being said, the white bean ragu in this dish was so perfectly flavored and seasoned that it almost stole the spotlight from the flawless chicken. 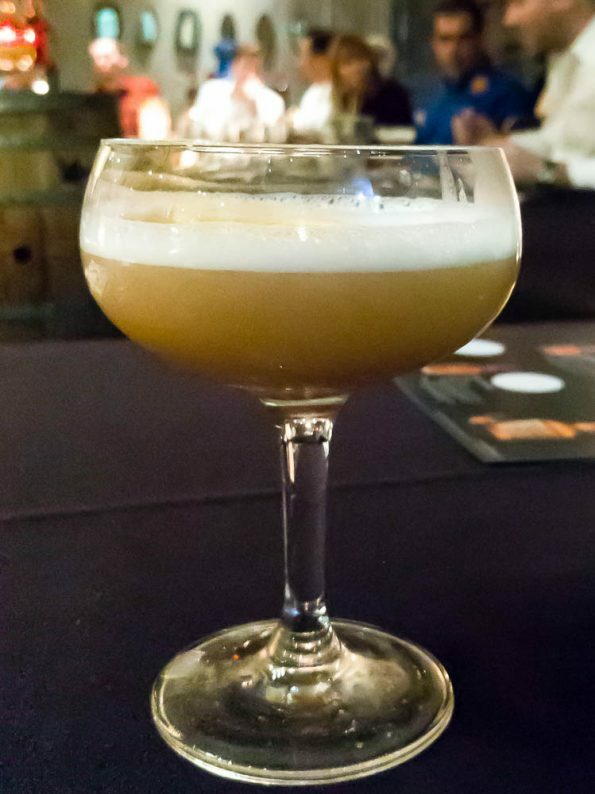 Ivory Billed Woodpecker (Maker’s Mark Cask, lime juice, pimento dram, egg white, dehydrated grapefruit, toasted clove)- We love egg foam cocktails and this was a great example of one. The Ivory Billed Woodpecker not only highlighted the Maker’s Mark Cask but also some really unique flavors. 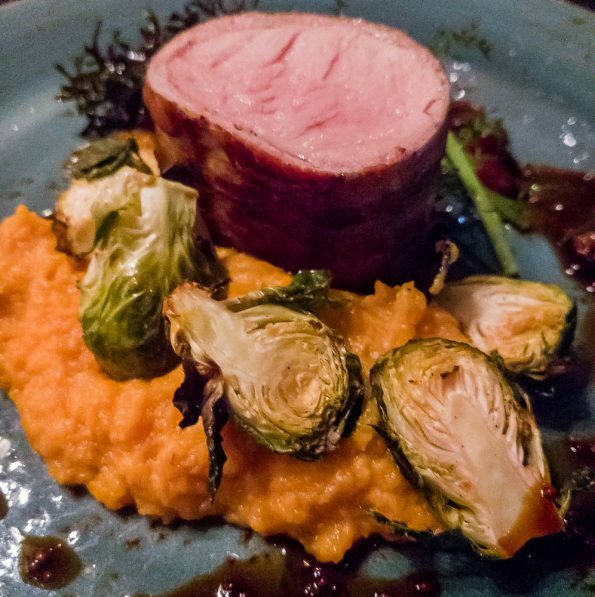 Bacon Wrapped Pork Tenderloin (sweet potato, brussels sprouts + espresso grain mustard demi)- Bacon wrapped pork seems like a no-brainer, but this was truly exceptional. The espresso grain mustard demi was well paired with every element of the dish making it delightful and well thought dish. House Made Eggnog (Maker’s Mark bourbon, cream, sugar, eggs, nutmeg)- Eggnog is such a polarizing drink. Some people love it and some hate it. We are in the camp that loves it. Eggnog is also one of those drinks that can be made really well or terribly. 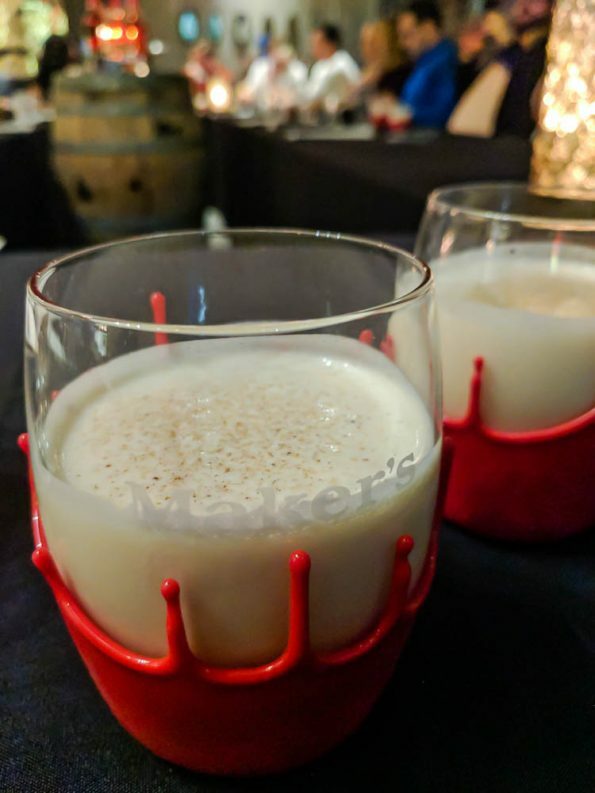 Fortunately and not surprisingly, this was some of the best eggnog we’ve ever had. We really enjoyed getting the opportunity to experience a spirit focused dinner such as this. 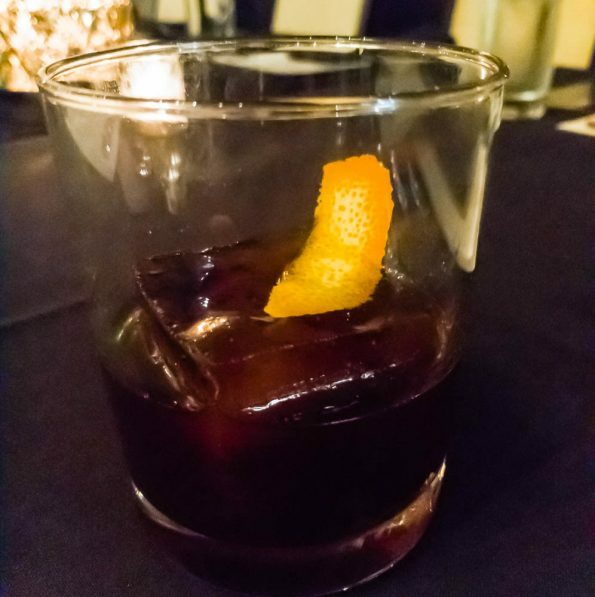 It was a fun and new way to experience a restaurant who’s food and cocktail program we already love. If you have the opportunity to attend one of these dinners, we highly recommend it. Have you been to a spirit focused dinner? We’d love to hear all about it! Leave a comment below or use the hashtag #GeekEats. *The Geeks were given complimentary tickets to attend the dinner to facilitate this write-up; Information about the menu items was provided to us, opinions are wholly our own. View our Disclosure Policy for more info.